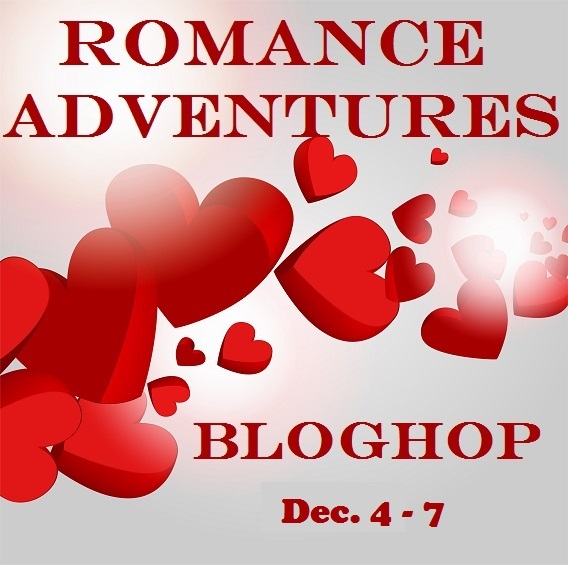 Romance Adventures Blog Hop! Dec. 4-7 | Jenna Jaxon Romance–because passion is timeless. 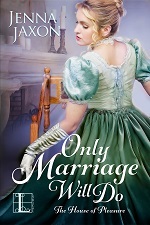 Since we’re supposed to be on a Romance Adventure, I’m going to share my upcoming historical romance, Only Marriage Will Do, Book 2 of my House of Pleasure series with you. Below you will find my PRIZE LIST and the Blog Hop List of other authors you’ll want to check out (they may have prizes too!) because they write awesome romantic adventures. Now for a peek at my latest romantic adventure! My hero and heroine, Amiable Dawson and Lady Juliet Ferrers embark on a Romance Adventure, fleeing a man who claims to be Lady Juliet’s husband, and ending up in the wilds of northern England. 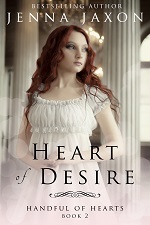 Will they find romance and love or merely danger along the way? The brass lion-head knocker under Amiable Dawson’s hand sent a sharp rap through the dark walnut door of Dunham House for the second time. The hot July sun hadn’t done his temper any good as he waited on the marble stoop for entrance to the Marquess of Dalbury’s townhouse. He’d been in a foul mood ever since the news of his beloved Katarina’s marriage to the marquess had reached him. Blast it to hell, he was supposed to have married the girl. At least he could make sure she was well and well taken care of by this man she had married. “It is true, I tell you!” A woman’s voice, raised and sharp with terror, sent a chill through Amiable. He barged past the stunned girl and strode down the hall toward the commotion. He burst through the doorway, expecting to defend the woman he loved, only to stop dead at the sight of a man lunging across a sofa and grasping a woman by the wrist. Amiable had half drawn his sword before he realized the woman was not Katarina, but a complete stranger. He dropped it back into its scabbard. This was none of his affair. The young man, foppishly dressed in a robin’s egg blue satin coat dripping too many layers of frothy lace at throat and wrists looked at Amiable, a snarl on his lips. Smiling into her pleading face, he grasped her hands and gave them a gentle squeeze to signal his acquiescence. “Whatever is the matter, my dear?” Hell if he knew. But he could play his part, even with little information. Let the lady lead and he’d follow as well as he could. Only Marriage Will Do is set to release in SPRING 2015. In the meantime, if you’d like a further taste of my Georgian world, why not start with Book 1 of the House of Pleasure series, Only Scandal Will Do, available from Kensington at Amazon and B & N.
All you need to do is LEAVE ME A COMMENT telling me who your favorite romance author is and your favorite book of theirs . 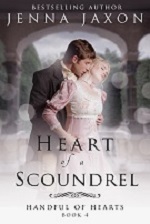 This entry was posted in Blog Hops, Historical Romance, House of Pleasure Series, on Georgian Romance, Only Marriage Will Do, Promotion, WIP and tagged House of Pleasure Series, Jenna Jaxon, Only Marriage Will Do, Only Scandal Will Do, Romance Adventures. Bookmark the permalink. Fabulous excerpt! Enjoyed the sneak peek, and I already love Amiable’s character. My fave author is most definitely Laura Kaye my fave book is a bit harder pick because i love every single thing she writes. but maybe the very first book of hers i read Hearts in Darkness. Hard to pick just one. One of my favorite books is Nine Rules to Break When Romancing a Rake by Sarah MacLean. Enjoyed the excerpt, book sounds really good. Pingback: Free Read Friday | Jenna Jaxon Romance–because passion is timeless. Pick just one? Thats impossible! But if I had to choose, I would say Jude Deveraux and her Velvet series. That’s the series that got me hooked. Eeek or maybe Winter Fire from Elizabeth Lowell. Julie Garwood was the first adult romance author that I read and went back for more books. Roops! Missed part of it! Jennifer Lowery and the Maze. Sara Walter Ellwood and Gambling on a Secret. Nikki Lynn Barrett and Secret Santa Wish! Sounds like another winner! Wow… how to choose just one romance author or book? There’s so many. I read JD Robb, Laurell K. Hamilton, D’Ann Lindun, Sherrilyn Kenyon… I could go on and on..
How do I pick just one, lol. D’Ann Lindun and Daryl Devore are my fav’s 🙂 Can’t wait to read this one, Jenna!! Sounds like fun!! I shared. Great excerpt! I’m looking forward to this book!! Rachel Gibson is probably my favorite since she is the first author I read when I started reading e-books. I like all of her books, it is hard to pick a favorite. This sounds so good! What a great concept. Fav romance author is Jane Austen and book is Pride & Prejudice. The new book sounds great. Cannot wait to read it. I love the way the book starts. My favorite book is Ransom by Julie Garwood. What a fabulous opening line for the excerpt – The brass lion-head knocker under Amiable Dawson’s hand sent a sharp rap through the dark walnut door of Dunham House for the second time. It so sets the image and prepares the reader to settle in.